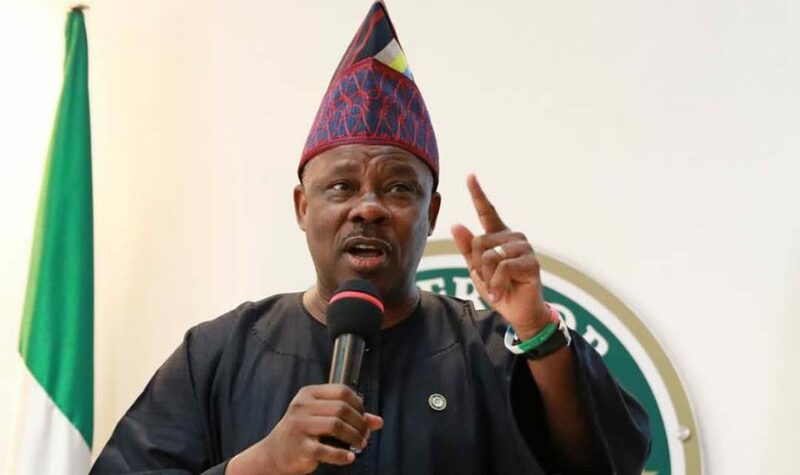 Ogun State governor, Senator Ibikunle Amosun, last night threatened to pull out of the All Progressives Congress (APC) if the Adams Oshiomhole-led National Working Committee (NWC) fails to uphold the candidacy of his anointed governorship candidate, Abdul-Kabir Adekunle Akinlade. some party leaders and his loyalists across the 20 local government areas of the state held at his private residence located inside Ibara GRA, Abeokuta. He further told Daily Sun that Amosun informed them that rather than the NWC iron out the issue of the governorship, he was asked to share the national and state assemblies tickets with certain group of individuals, who, according to him, did not participate in both the governorship and legislative primaries. The Ogun governor, the source stated, made it clear that he could not work with Abiodun, who he said lacked the wherewithal to win a senatorial district, let alone the whole of Ogun State, insisting he would rather bid APC goodbye.